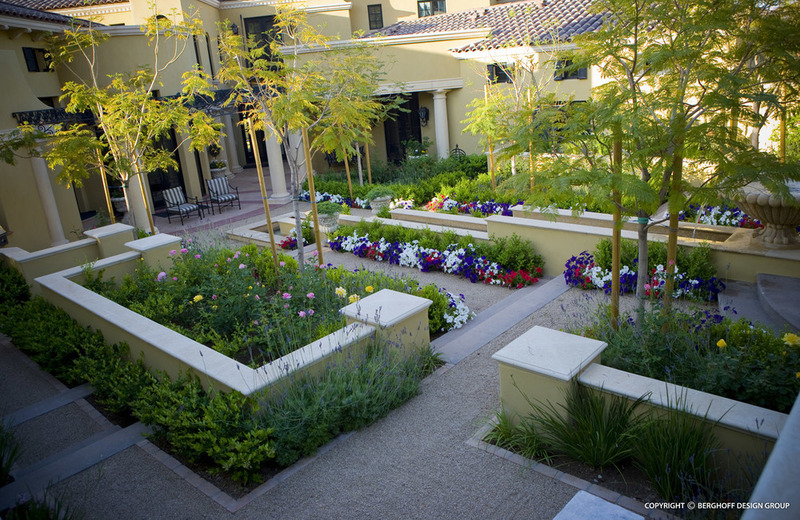 "The creation of a formal Mediterranean yard with a garden was accomplished within the guidelines of a mountainside Arizona community. 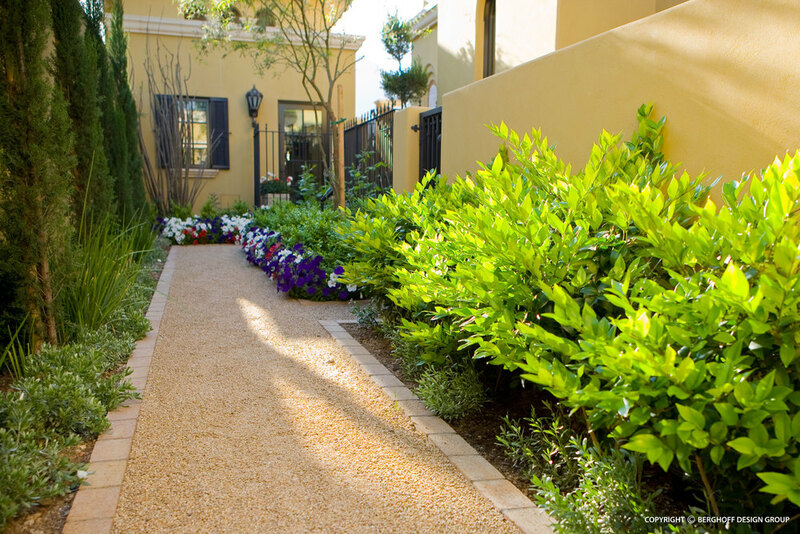 The plants, height of the trees, and what can be seen by neighbors are all elements of the guidelines that we worked with to bring elegance into the garden. The interior gardens are lush and regal: the water features, the walkways, the niches within the walls for the traditional sculptures. The interplay between the architecture, pool, and the landscape create a certain drama when those elements are so closely connected. 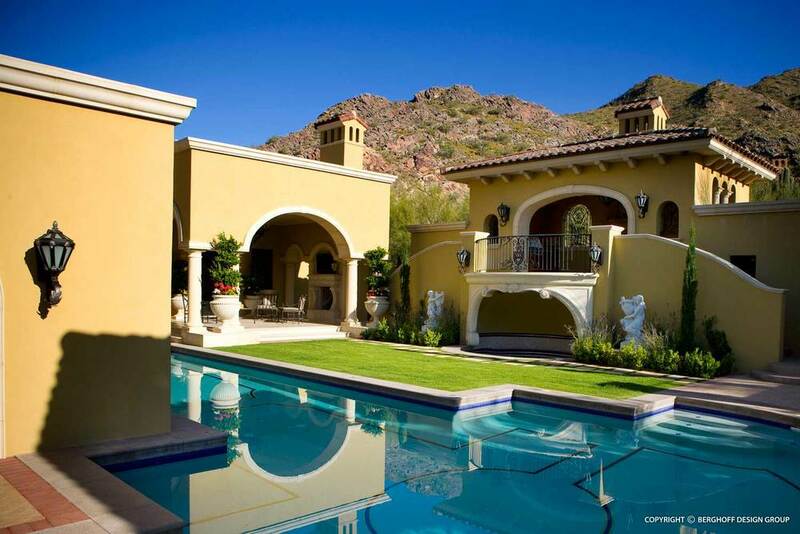 Just on the other side of the tall walls is native Arizona desert."